President Akufo-Addo Honoured In Rwanda For Free SHS – NPP USA Inc. These words were contained in a citation presented to the President of the Republic, Nana Addo Dankwa Akufo-Addo, by the African Leadership University (ALU), on Friday, 6th September, 2018, in Kigali, Rwanda. In the first year of the implementation of the Free SHS policy, 90,000 more students entered senior high school in 2017 than they did in 2016. Again, in 2018, the second year of the policy, 180,000 more students have been admitted into senior high schools across the country. 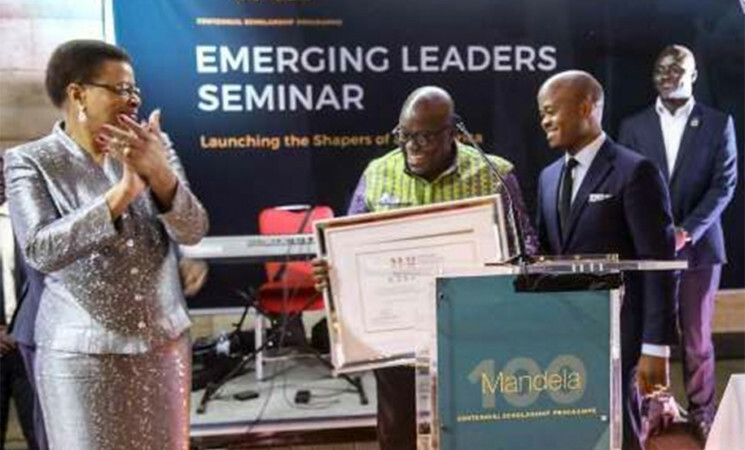 The second reason for the award, the ALU Founder said, is the President’s belief in the ability of the youth. “From the beginning, as he assumed office, he made it very clear that his number priority was to ensure that the youth of Ghana got the opportunity, and were able to get jobs, and he's implemented the policy of “One District, One Factory”, which is really about promoting the youth entrepreneurship, and making sure that the rural youth got an opportunity for employment,” he added. Thirdly, President Akufo-Addo’s persistence and perseverance in not giving up on his vision of serving Ghana, according to Fred Swaniker, is one which has to be emulated by this generation of African youth. “Nelson Mandela was in jail for 27 years, and I believe that one of the traits of great leaders is their persistence, they don't give up until they achieve their vision. And our President ran for office twice, before he eventually won. And, that, I believe, is the mark of a great leader,” he said. 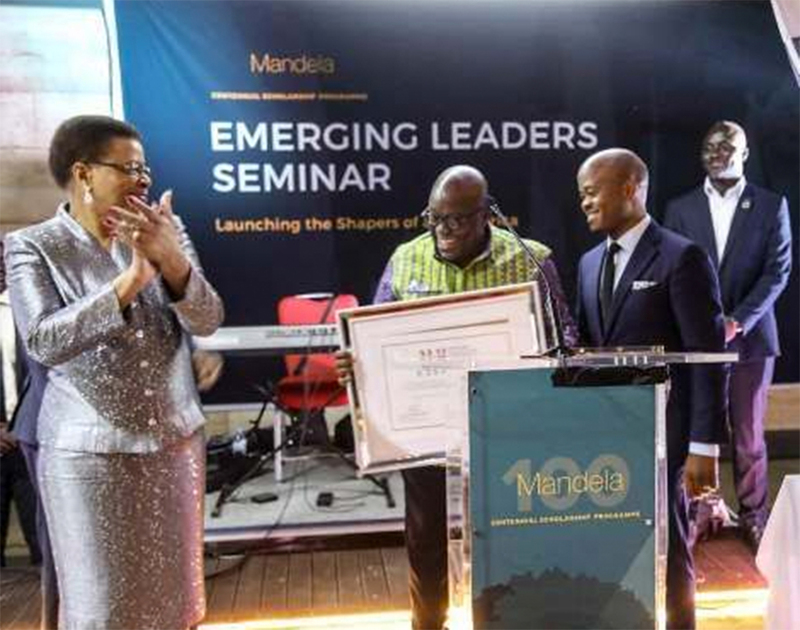 The final reason for the award being given to President Akufo-Addo, Fred Swaniker said, was his belief in African self-reliance. “I remember watching him proudly in this video that was going around. It went viral, and many of you might have seen this video, and if you haven't, then you should watch it. This was when the President of France, Emmanuel Macron, visited and he stood there, as our President told him about Ghana without aid and described his vision for African self-reliance and for Ghana’s self reliance, where we will no longer depend on colonial powers like France,” he said.